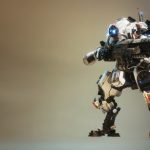 We finally got a chance to look at the completely new four Titans who will give you plenty opportunities to scare your enemies in Titanfall 2. These new Titans will let you slice, snipe, track and shred your opponents in Titanfall 2. And we have to admit, that it is a really fun thing to do, no matter how much we enjoyed double-jumping and wall running while playing as a Pilot in Titanfall. Undoubtedly, Titans, armed mechanical suits, are the real stars of the game. 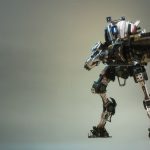 While earlier we had an opportunity to check out two new Titans Scorch and Ion from Titanfall 2, this week we had a chance to try out the final four Titans from the upcoming Titanfall 2: Ronin, Northstar, Legion, and Tone. So we are ready to share our findings with you. This Titan is a perfect choice for an aggressive player who likes to get into danger and uses ruthless brutality while fighting with the enemies. Ronin has the highest moving speed among all the Titans in Titanfall 2. He also has a weapon set that is best at a close distance. The main weapon that Ronin possesses is a huge shotgun that creates an enormously wide spread. So if you wish to experience a brutal strength in Titanfall 2, this will be the right weapon for you. Ronin also has an enormous Cloud Strife-esque sword that could be used in two ways: using it for basic battle attack or using its extreme “core” ability that lets you to use the electrified blade for a longer period in Titanfall 2. Despite its impressive gun set, Ronin also possess a Phase Dash strength that makes this Titan both invisible and unbeatable for a couple of seconds. However, in this mode you will have your view shifting from black and white and there will be enemies vanishing from your screen. But if you use this mode appropriately in Titanfall 2, you will be able to escape your enemies as well. To tell you the truth, we never remained long as Ronin but few times we almost took down another Titan with us, even couple of them. 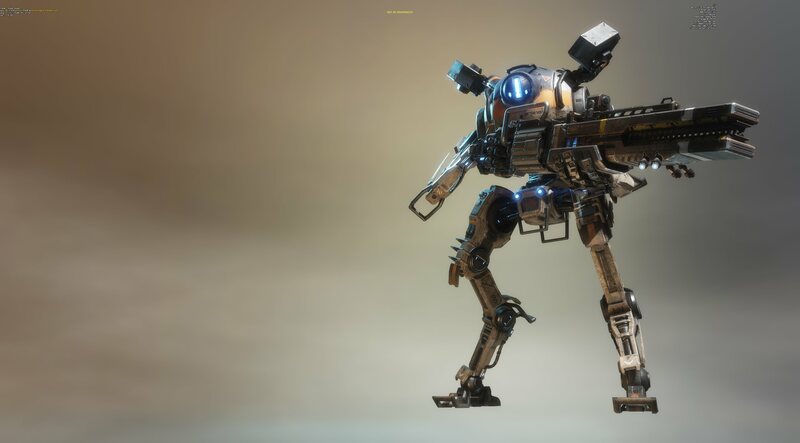 No matter, how successful (or not) our experiences with Ronin was in Titanfall 2, we are grateful to see how different this new Titan could play both around the original Titans and the new ones as well. Also, it is extremely entertaining when you can boost-bomb another Titan with Ronin’s shotgun in Titanfall 2. Titans can’t jump. That might sound hilarious but that’s the truth and it sometimes bothers as it restricts your mobility in some places. But Northstar is different. 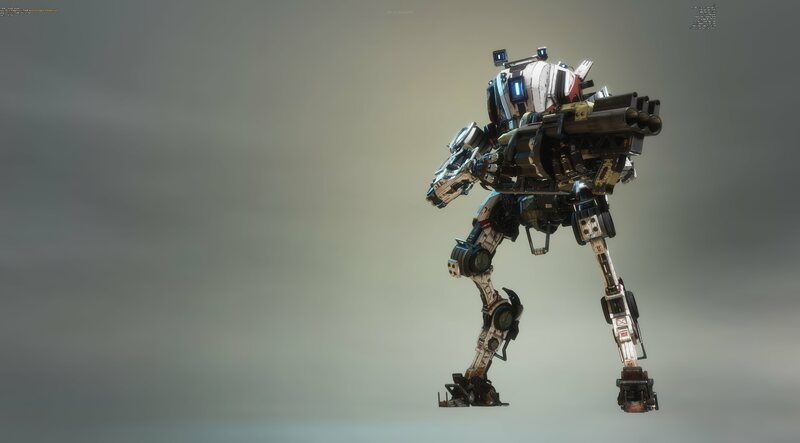 This new Titan that will appear in Titanfall 2 has a VTOL hover strength that lets him to clear low to mid-sized walls or just peer over bigger parts of cover to open fire from a surprising angle in the newest Titanfall game. Northstar also has a limited power to fly up in the air that allows you to pour rockets on everything that is left on the ground. Northstar also has a special weapon that no other Titan possesses – a sniper rifle. 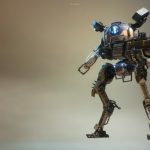 While other Titans in Titanfall 2 might depend on their weight and stamina, Northstar seems relatively smaller and less dangerous from the first sight. However, its railgun charges when you approach down sight. In Titanfall 2 a well-located, fully-charged shot knocks away an enormous mass of health while decreasing vulnerability of Northstar. This new Titan would be a great help in more open maps as it can give vital cover and suppression for its teammates in Titanfall 2. To compare playing with Northstar and with Ronin, we have to admit that Ronin was a better choice for us. But that is only because we didn’t certainly use Northstar as a supporting crew member in Titanfall 2. Using Northstar as a support unit might be a better choice. However, we have to admit that we loved the idea of a robot sniper that is extremely mobile. The third new Titan in Titanfall 2, Legion, seems like a straight-up tank that has a good deal of health. Legion also has a noble mobility and a big mini-gun with a transportable front-facing shield that blocks all direct incoming fire for a limited time. Although, Legion’s no-nonsense main strength allow it to charge up its mini-gun and release even bigger destruction. Legion is basically a raw power being in Titanfall 2. If you think that Legion might lack differences, you are not right. Its mini-gun, for example, is powered with two firing modes. One of them is created for a longer-range accuracy firing while the other one is for closer or more widely separated objects in Titanfall 2. So these two firing modes will be a perfect choice if you wish to fire accurately or create a crazy wall of bullets – it’s your option to choose as you can switch from one mode to another. You also have ability to auto-target bigger enemies while using Legion’s Smart Core power. We believe that Legion might be the least mechanically distinct Titan, comparing to other Titans from Titanfall 2. Titan and a mini-gun is a classic combination that is definitely needed for a Titanfall game. And Legion seems to be that “mindless killing machine” that must be in every game. 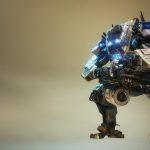 Tone, the fourth newest Titan from Titanfall 2, seems to be more sophisticated than the other Titans we talked about in this article. While overall statistics (like balance health, damage and speed) of this Titan is equally, its power set seems utterly various. 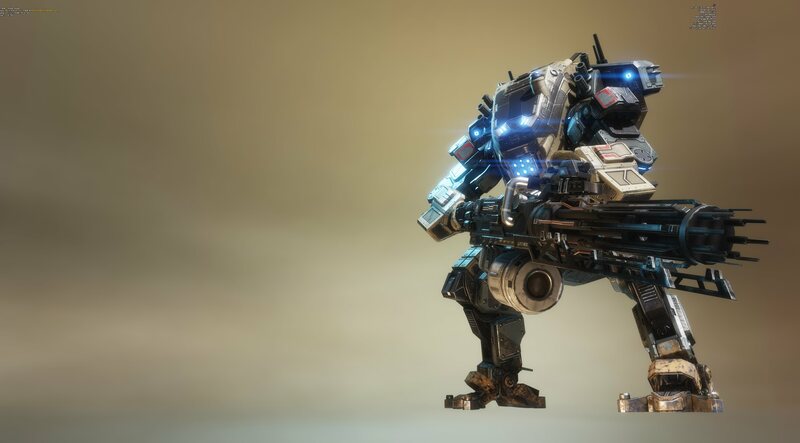 Tone from Titanfall 2 has an ability to drop a huge immobile shield and he also can fire homing bombs that can modify their direction in order to catch the enemies. Tone also has a unique strength to reveal locations of the enemies that are close by using a SONAR-like gadget. The main weapon of Tone acts like a marksman rifle in Titanfall 2. This weapon is quicker than a sniper rifle and more accurate than a machine weapon so it allows creating mindful and precise attacks. We know that maybe tactical rifle doesn’t sound so dangerous as a Legion’s mini-gun or Ronin’s sword, but believe us – every shot that you make with that gun creates an astonishing explosion which is really impressive. 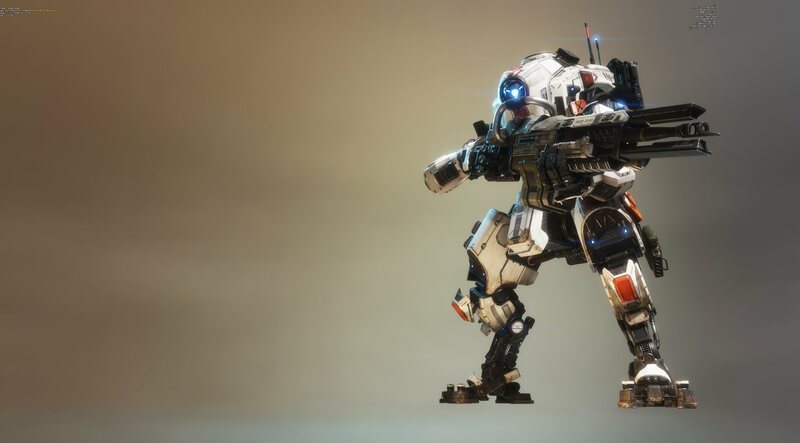 While some Titans may seem to be best at certain situations, Tone looks like a flexible Titan who can be used at any situation in Titanfall 2. In our opinion, Tone might not be the most likeable Titan of all times, but it will surely be used by everyone at certain situations. Titanfall 2 will be released on October 28. It will be available for Xbox One, PS4 and PC. If you wish to read more reactions on Titanfall 2 gaming experience, you can check Rob and Scott’s recent conversation. Are you a real titan? Then Titanfall 2 is something exactly for you. It’s a game about the fighting and taking part in battles – so every warrior should try it. Titanfall 2 Game is developed for those who can’t live without action and needs adrenalin. Once you step into the game, its world and surrounding get you involved instantly. It’s amazing how well it is made and can adapt to different players need, wishes and requirements. You simply must check, if it’s true! Titanfall 2 Game © 2019.